It isn’t so fresh news but still. ATI released a new version of its proprietary drivers for Linux. The 9.3 provides better options to configure display for HDTV in the ATI Catalyst Control Center. Also a few bugfixes were done with detection of display port, TV standards aspect, video playback after hibernation and dual display configuration. There is a good news for developers. They have now a way to control video card parameters from their applications using AMD Display Library SDK. I received a positive feedback about using ATI Radeon HD3200, previous version of ATI Catalyst 9.2 and alpha version of LinuxMCE 0810. The video playback is ok now. But there is still a few issues: cursor cannot be hided without mouse and there is no way to call menu when screen server is started. Probably the new version of Catalyst drivers will solve that. nVidia has been released another version of its proprietary *nix video drivers. 180.44 includes support for few new GPUs, fixes of OpenGL crash while running KDE4’s Plasma, a lot of VDPAU bugfixes. Traditionally there are version for Linux IA32/IA64/AMD64/EM64T, FreeBSD x86 and Solaris x64/x86. I didn’t update my LinuxMCE box since 180.18. So, tomorrow will do it. Hope it’ll improve performance during HD video playback and maybe it’ll help to get audio over HDMI (I know that it’s done under Kubuntu 8.10, but I still run 7.10). Good news for all owners of Popcorn Hour. Now you have an ability to retrieve medata for movies in your media library automatically using Movie Jukebox. It is a command line tool, written in Java, which recursively scans your video library and extracts information like: year, language, subtitles, container, part, fps, audio and video codecs using MediaInfo opensource library. The rest data like rating, cover, plot etc is retrieved from the online databases: IMDB, TheMovieDB, TheTVDB, Allocine, FilmAffinity, FilmWeb. As result Movie Jukebox generates HTML reports that are compatible with the Popcorn Hour. Together with movie or TV show metadata those reports contain the link for playing the movie directly from the jukebox. Video presentation of Movies Jukebox after jump. 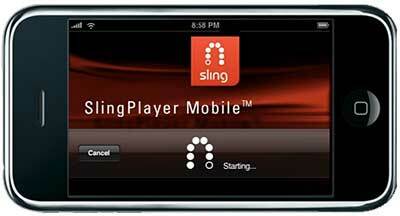 Sling Media announced its SlingPlayer Mobile player for iPhone and iPod Touch. It’ll allow to watch live stream or recorded TV shows directly on your Apple smartphone. The player will be available on iTunes right after approving. You may also find the SlingPlayer for Symbian, Palm, BlackBerry and Windows Mobile on the Slig Media site. On the last boxee NYC meetup the new (and maybe last) alpha version was presented. With supporting of Pandora it offers listening of quickmix, favorite stations and creation of new stations. Additionally with RadioTime it’s possible to listen to over 100,000 radio stations from around the world. Both apps were built using a new boxee API. It allows developers to build apps using XML pages and Python scripts. So, using it you’ll able to add support of new services or control the data and metadata around the media easily. See BoxeeHQ to find available plugins, apps and hacks or place your stuff there.